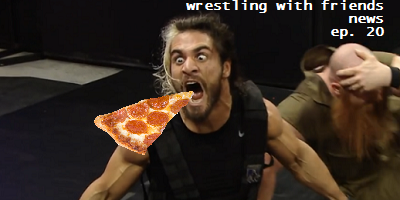 We hope you're hungry...for another News edition of Wrestling With Friends! We've got all the happenings from around the wrestling universe, served piping hot from the oven. Or, feel free to save it in the fridge and listen to it cold in the morning, whatever your preference. Just don't miss out on our 2015 Summerslam predictions for the Friends Cup! It was this time last year when things started getting heated. Say you were there when it happened! Did you guys do the prediction for Sheamus vs Orton or Ziggler vs Rusev? We really failed at that!